I promised myself as reward for finishing publishing projects X and Y, I could start playing with a new project. Well … I finished project X yesterday and maybe setting myself the goal of finishing two books in one day was a tad overreaching. So … I’m going to play with this new project anyhow. On the weekend I popped in to the Perth Quilt and Craft Fair (and by that I mean that my husband shoehorned me out of my pjs and dropped me at the train station to make me go). I had a quick race around all the stalls – a lot of them are the same each year and this year I’m not feeling the buying things without a project intent. 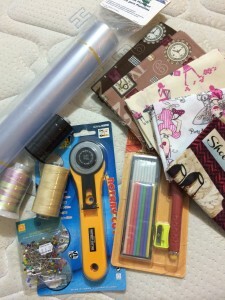 I grabbed some tools and ok, maybe some fat quarters just because. I then wandered through the quilt exhibition and enjoyed quite a few quilts. I really liked this one, which looked like a really example of the kind of version of Farmer’s Wife Sampler that I want to try (more on that in a bit). And then I had a chat to a friend who pointed out one of the special quilts on display – a Dear Jane quilt. And this is possibly the thing that made the whole event for me. 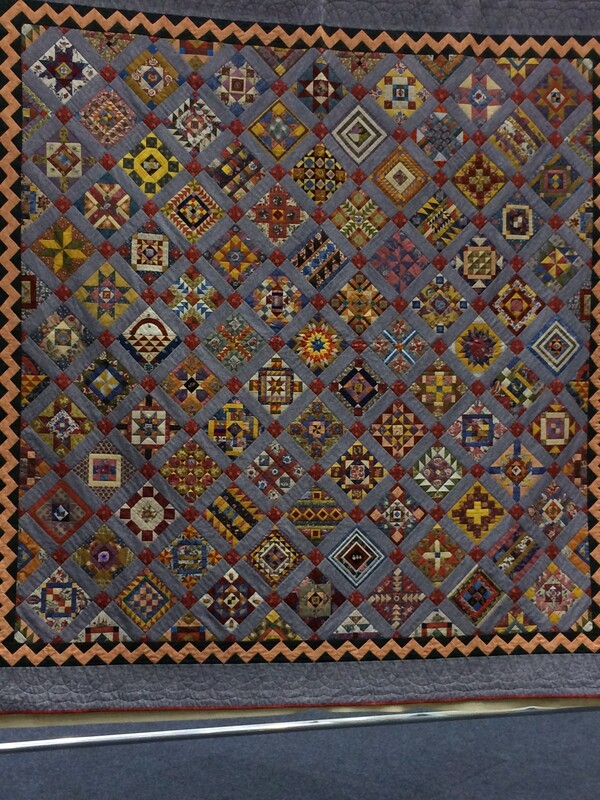 The Dear Jane quilt is very similar to the Farmer’s Wife – it’s a pattern of sampler blocks, in this case it reproduces an original quilt made by Jane A. Blakely Stickle, and finished in 1863. The one on display at the Quilt and Craft fair was made by Angela Davis and made out of a collection of Liberty Fabrics over time and using a technique I’d never heard of before called Quilt As You Go (QAYG). This is quilting each block as you finish it and then sewing them together at the end and voila quilt is done! She had used the fabric she used in each block as the backing for it. This meant that the back was a gorgeous display of the collection of fabrics. This really appealled to me in the sense that if you use fabrics you’ve been specially collecting, it’s a nice solution to the cutting it all up to use it problem. Also, I LOVE the idea of QAYG because I hate quilting so much that I not finished any of my quilts yet. I have a nice pile of finished tops. I think I could attack quilting just one block at a time and also I assume this would give me the chance to improve across the project. You see where this is all going, don’t you? The eagle eyed will have already noticed I went and bought myself some fancy quilting thread before I left the show. Some time ago, I bought myself a copy of the Farmer’s Wife Sampler Quilt. I loved the idea of it – a sampler quilt with a block each dedicated to a letter that was written to the competition run by the magazine The Farmer’s Wife: A Magazine for Farm Women in 1922 to answer the question, if you had a daughter of marriageable age, would you want her to marry a farmer? I’ve never actually been particularly interested in sampler quilts, they look so busy to me. But I love the idea of a quilt with a story and I thought it would also be a good opportunity to try a bunch of traditional blocks (yes, that is the point of a sampler quilt, ahem). And so the book has been on my shelf for a year or two as I’ve wondered how to make this project work. On the weekend I decided that it might be fun to actually do this quilt. And do it with intent – as a blogging project. 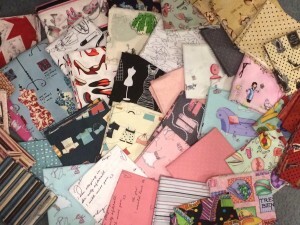 I also think it might be the best solution to try and use my fashion fabrics I’ve been collecting which I don’t want to cut up, and would rather have displayed in some way, yet don’t want to do straight blocks with borders with them. But they also don’t really all work in one cohesive colourway. The sampler quilt might get around that. Plus I get to keep the pieces whole for the backing and maybe improve my quilting. The fabrics I’m thinking of using (funny how the collection wasn’t actually as many fabrics as I had thought I had, in my mind). In 2013, I picked up the Jinny Beyer Block of the Month project in 2013 with the idea that I would like to have a project where I finish one block on a regular basis. At the time I was knitting more than I am now. But when I’d been part of quilting circles, they had kept me honest about working on a smaller project and finishing it each month. And I really liked that. So here it is. 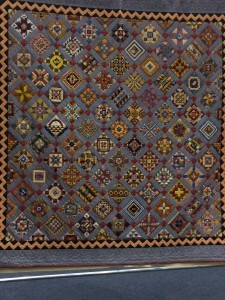 The Farmer’s Wife Sampler Quilt Project – it’s about 111 blocks, each 6 inches. I’m going to work on finished 2 a week which makes this a one year long project. And I’m going to post the finished blocks every Friday (is the goal) and read the excerpts of the letters as I go along.